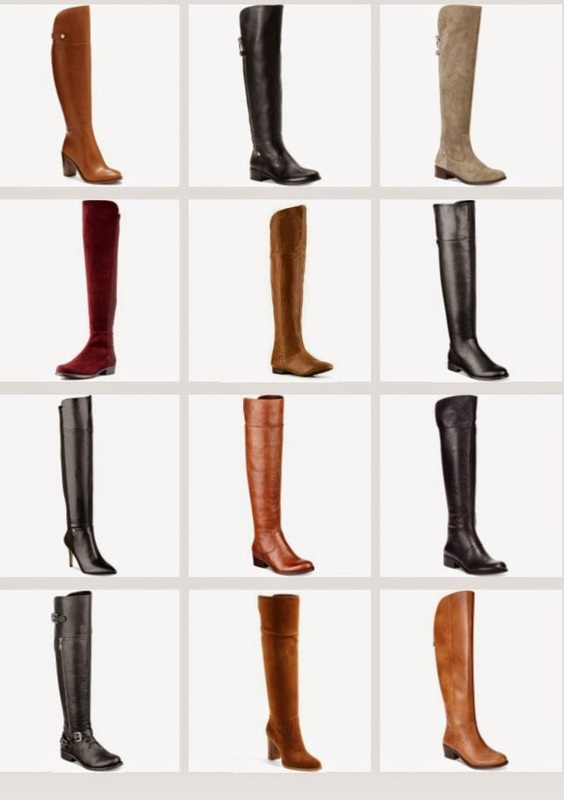 I got interested in over the knee boots last year and embarked on an all winter search for the perfect ones. I got one in taupe which I'm wearing in this post. I also wanted a black pair but never found the right one. Well, this year it seems the over the knee trend is here to stay with so many options out there. Here are a few of my picks. I should be getting my black pair soon. Are you a fan of over the knee boots?